Sunrisers Hyderabad is not a founding member of IPL where they started their journey in the tournament since 2013. This ongoing season of IPL is their 6th season and they already tested the glory of IPL in 2016. Since the beginning they used to show their best performance in the tournament where in last season, they ended the tournament standing on 4th position so far. Now, in the 11th episode of Indian Premier League, Sunrisers Hyderabad are in great form. They have played total three matches including their last match against Kolkata Knight Riders or KKR and managed victory in all three times. In the last match of the team, Sunrisers Hyderabad won by 5 wickets against KKR. On the other side, Kolkata Knight Riders or KKR is one of the most potential franchise team in IPL. They are also most popular team as well as one of the most successful team in the competition. They won IPL title more than once and they are also one of the founding member. Since the beginning of the tournament in 2008, they used to take part here. In the ongoing 11th season of IPL seems not so good for the team KKR. Though, this team managed victory in their opening match. Including the last match against Sunrisers Hyderabad, KKR also played three matches. They faced defeat in their last two matches here. 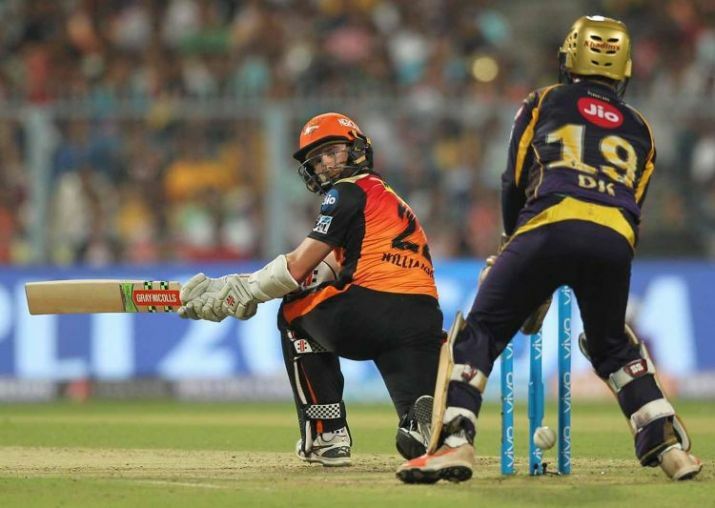 However, the match between SRH and KK was the 10th match of the tournament IPL which was taken place at the home venue of KKR named Eden Gardens, Kolkata. But due to be the home ground match, KKR failed to win the match. Sunrisers Hyderabad won the toss earlier and decided to bowl first. So, KKR came to open their innings with Robin Uthappa and Chris Lynn. Robin Uthappa scored only three runs but Lynn scored 49 runs where Rana scored 18 runs so far. In 20 overs, KKR failed to present big score in front of SRH but scored 138 runs totally. They lost eight wickets in the meantime. Bhuvneshwar Kumar took three wickets and Billy Stanlake took two wickets for SRH. Later, Sunrisers Hyderabad came to chase the score. Openers of them failed to make impressive score but captain Kane Williamson scored highest 50 runs. By losing five wickets SRH reached their target. They had to play total 19 overs to chase it. Sunil Narine took two wickets for KKR in the match.